If you like to work on cars, either as a hobby or your profession, chances are that you have heard of the new OBD2 apps that have been introduced. These apps range in price, capabilities and adaptor requirements, which can make it a little difficult to figure out when you’re looking for the one that will suit your needs. I decided to do a quick review of the top five OBD2 apps for Android to help you decide. The only thing that’s universal among all of these apps is that generally, your vehicle must be a 1996 and up model. Read on to find out more about what each app offers. The app includes free updates. The code database is vast. The data is easily stored and shared. 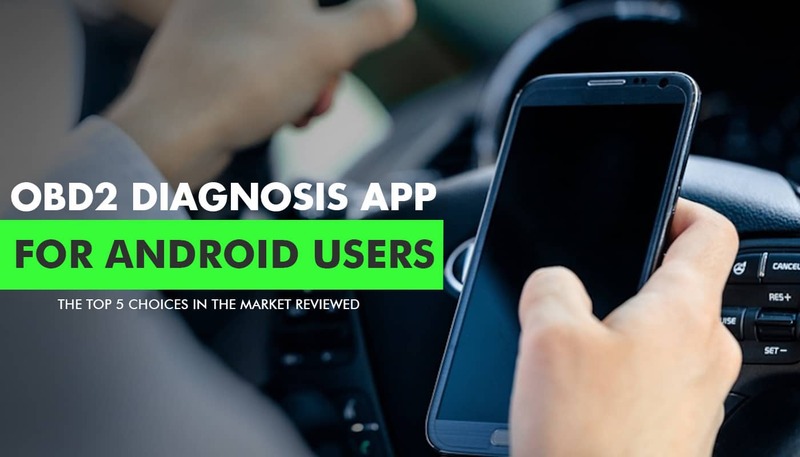 The app allows users to easily diagnose their fault codes. The app allows drivers to customize features such as sounds and steering in their car. If you purchase the authorized sensor, you receive a one month free trial of the paid services. Graph monitors all vehicle systems. Works on both American and European Vehicles. Torque Lite is available for a free try out. The app is equipped with a sleep mode to avoid vehicle battery drainage. Downloadable reports make storing information easy. Users receive a default email monthly with a compiled data report on their trips and fuel efficiency. Dash diagnoses engine codes and shows sensor data in real time. A free trial is available for those who are interested in finding out more before purchase. While the diagnostics are fairly average, it does a great job of helping plan and track your trips and engine response. The BlueDriver OBD2 Scan Tool is one of the OBD2 apps that’s compatible with Android systems. It not only scans your vehicle’s codes, it can help diagnose the problem and offers a suggested fix list. This app works with a sensor system that’s sold separately through the website, and each has their own set-up for use. 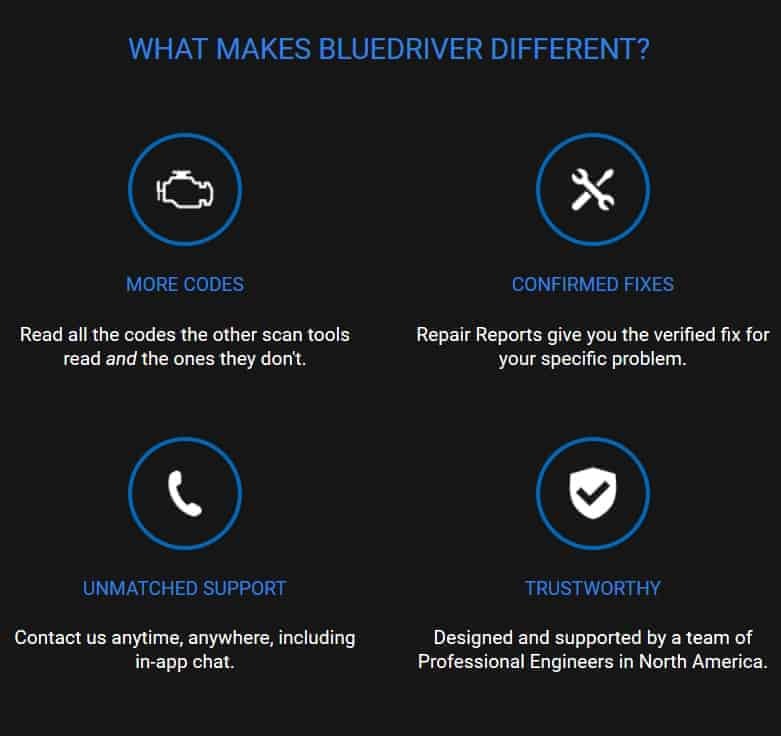 We give the BlueDriver Bluetooth app a solid 5 star rating for many reasons, the least of which is the affordable sensor price and the fact that the app is free to download and use. 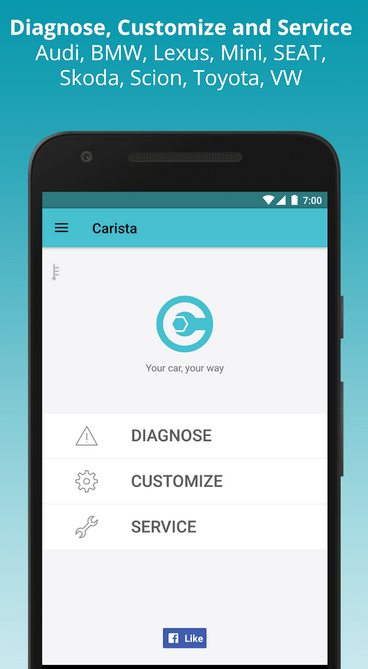 Comparable apps are the Carista OBD, Torque Pro, HobDrive OBD2 and Dash. ​Is There an Additional Cost? The app allows you to connect to the BlueDriver sensor, and scans, reads or clears error codes from your engine to include systems such as Airbag, Transmission and ABS codes. It stores the readings into a Reports database, which also lists over four million potential fixes for any problem that it might find. 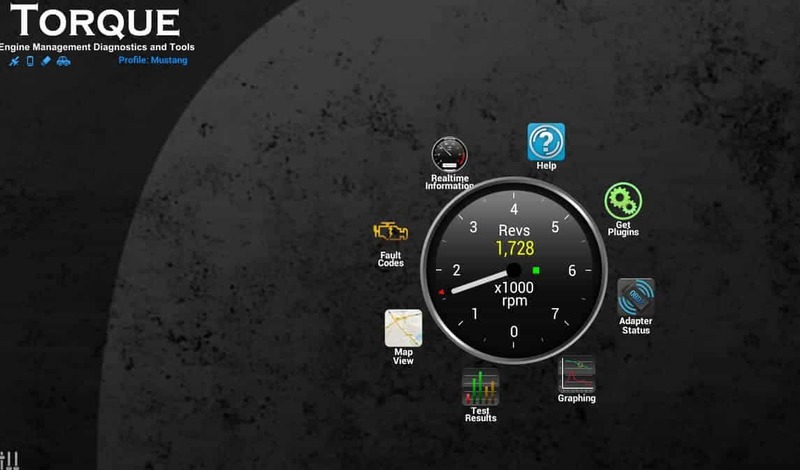 You can enjoy real-time access to your engine data, engine parameter readings and freeze-frame capture the information. As a bonus, you can easily email or print this information. Live data may vanish if you don’t share the info-doing this downloads a copy of your reports into the system. ​If your engine is Diesel fueled, it will only work with models that are 2004-present, with a few exceptions. BlueDriver does offer a compatibility tool that will allow you to check compatibility prior to purchase. While there is a broad base of vehicles it’s compatible with , there are varying degrees of information available. Some older models may have leff information output than others depending on the make. Be sure to check whether yours is one of the limited information models. Also, be aware that if your phone goes to ‘sleep’ while the scan is in process, the app will stop working. Be sure to adjust your settings on your phone prior to use. The app is free with the purchase of the BlueDriver Bluetooth OBD2 Sensor, which is needed for the app to work. There are no monthly fees associated with the app or fees involved with downloading reports or viewing suggested fixes. ​The app includes free updates. ​The code database is vast. ​The data is easily stored and shared. ​Only works with one adaptor. ​The app will shut off if your phone does. ​There is no free trial. This app offers customization and manufacture defect codes on Lexus, Toyota, Volkswagen and Audi, as well as limited codes for Scion, SEAT and Skoda. It gives general diagnostic reports for most other makes of vehicles.Carista OBD2 will let you know if your car is ready for emission tests, which will save you time when it comes to clearing the tag check. All customizations are not available on all makes of vehicles, and some users have experienced their settings returning to default after an upgrade or at the end of their trial period. There are varying rates for use. Users can simply purchase a one-week pass for $9.99, or an annual pass for $39.99. ​The app allows users to easily diagnose their fault codes. ​The app allows drivers to customize features such as sounds and steering in their car. ​If you purchase the authorized sensor, you receive a one month free trial of the paid services. ​Some data settings may disappear. ​While the customization options are interesting, it doesn’t seem to allow reports to be stored, shared or emailed, or list potential repairs. ​The Torque Pro offers a lot of different features that are geared more to actual diagnostics. While it doesn’t support the Garmin EcoRoute HD Adaptor, a range are compatible and can be found here. 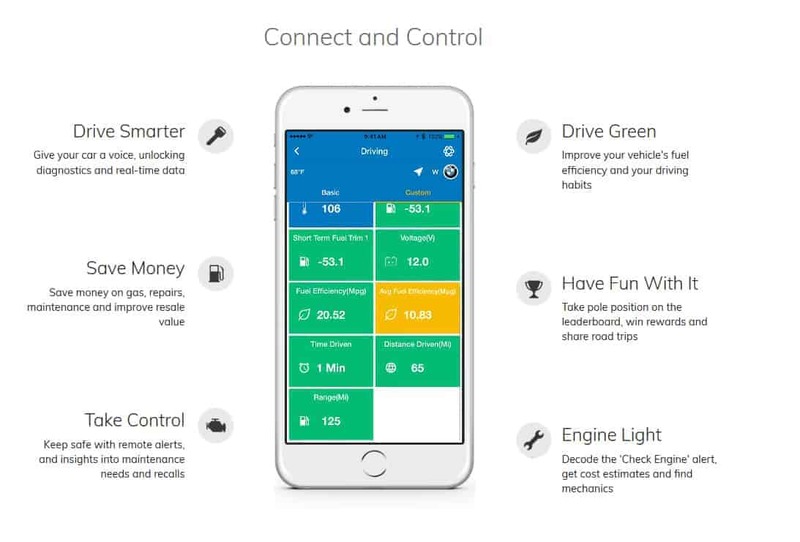 This app allows you to run real-time diagnostics of the major operations of your engine, to include car performance and sensor data. It’s compatible with GPS systems to track location, and allows reports to compiled into graphs. It features a nice feature that will monitor your levels in your car and send an alarm if they dip below a certain point, and allows some customization options. The app is capable of monitoring multiple systems to include airbag, transmission and horsepower delivered from your engine. While it may work on some makes from 1996 and up, it’s more suited for vehicles from the 2000 range and offers codes for several top brands both European and American. ​Sometimes the PID’s don’t load properly, depending on the sensor adaptor that you’re using. It may not be compatible with all operating systems, and users with tablets often have difficulty accessing the reports. 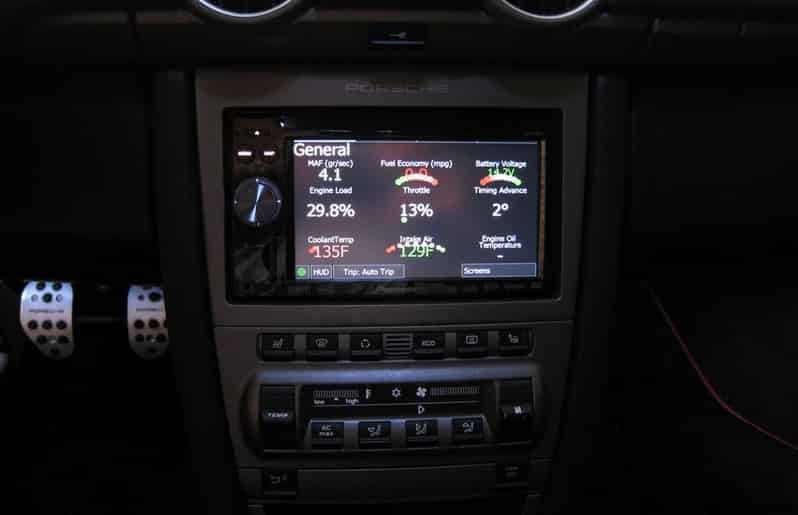 ​Graph monitors all vehicle systems. ​Works on both American and European Vehicles. ​Torque Lite is available for a free try out. ​While it works for Android, some users experience limited access depending on their operating system. ​Some customization data may delete. Dash diagnoses engine codes and shows sensor data in real time. The app can read the temperature, display distance driven, engine load, fuel level and your fuel efficiency. It also documents your trips, to include start time, top times and locations, GPS coordinates, elapsed time and which vehicle you were driving. This data can be downloaded and emailed from your Dash account. The app has been reported to crash without warning, leaving some users who were tracing their trips without the data they thought they were recording. There are no subscription fees to use this app. ​The app is equipped with a sleep mode to avoid vehicle battery drainage. ​Downloadable reports make storing information easy. ​Users receive a default email monthly with a compiled data report on their trips and fuel efficiency. ​No longer supports USB-based OBD adapters. ​Android has different hardware requirements for DASH than iOS. ​You can’t delete trips from your Dash account history. The HobDrive is described as a trip analysis sensor. It requires the use of the ELM327 OBD-II adaptor. The app automatically calculates and compiles reports of your trips to include gas mileage, gas efficiency, GPS locations and time in trip. It supplies custom PIDs for Toyota, Prius, Ford, Ford Hybrid, Chevrolet, Toyota JDM and Mazda as well as some non-OBD2 systems such as the Delphi mr240 with Chevrolet and the Delphi mt20u for Chinese-manufactured vehicles. It tracks engine codes and offers a code explanation. Some users have reported limited capability with their vehicles. Others state the app is unstable and crashes frequently. There are no additional costs outside of the purchase of the app and the sensor. ​A free trial is available for those who are interested in finding out more before purchase. ​While the diagnostics are fairly average, it does a great job of helping plan and track your trips and engine response. ​Not all vehicles will work with the required adaptor. As you can see, the last two apps listed in this review are more for diagnostics during road trips rather than mechanic work. Therefore, with the choice between the first three apps, the Bluedriver OBD2 is the clear winner of the best OBD2 app for Android. While users can benefit from not having to pay for upgrades, updates and subscription terms, the database is frequently updated from the App owners. The Blue Driver OBD2 app also has a vast database of dtc codes and their explanations, as well as a ‘suggested fix’ option to help you locate the proper part, down to local stores that have it in stock. When you add this to the fact that it’s compatible with so many vehicles, the Blue Driver OBD2 stands out for its ease of use, available data and customer-friendly database.